It was the stories like this that made me a fan when I first picked up the books at age 11. (Okay, maybe it wasn't the psychology of the characters at that age that intrigued me and more the fact that buildings were being destroyed and I thought Bruce Banner was really cute. What can I say? Nerdy chicks dig a guy in glasses.) Don't get me wrong! I love me some good old fashioned Hulk smashin', but it's articles like this that remind me why I have continued reading and re-reading the books. That being said, I'd like to find Mantlo's entire run. I've only gotten my hands on a couple of his comics, and sadly none were of the epic Crossroads arc. I've got my fingers crossed that the Essential Hulk series continues. It seems the only Hulk writers Marvel likes putting out collections for are Lee and Kirby, Peter David, and Bruce Jones. Speaking of which, your Jones comment on the first part made me chuckle. I thought I was the only one who wasn't fond of his work on Hulk. It was about halfway through his turn that I quit getting new issues for a few years. I jumped back in after Planet Hulk and WWH got the trade paperback treatment and haven't regretted it. I'm totally diggin' what's being done with the new "family" angle. I'll be sure to keep checking out your posts. I found your site by accident looking for an image from the latest issue. Glad I did! I look forward to reading more from you. Thank you for the kind comments. As previously stated, that Bill Mantlo treatise was originally written back during the Jones years. I think it's as true now as then, possibly more. Greg Pak is obviously the spiritual successor to Mantlo, and he's been doing wonderful things with the base Mantlo established. It is sad that there is a real dearth of good Hulk trades outside the modern era. 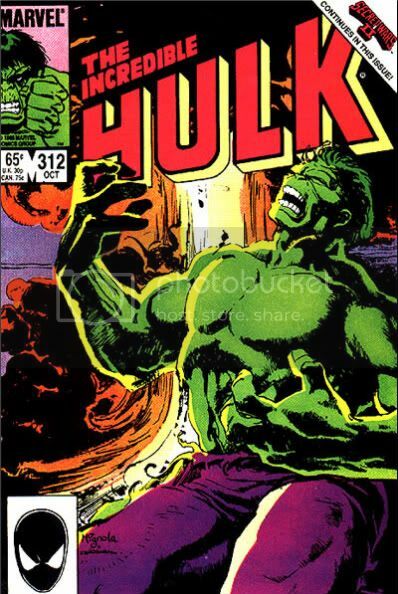 People need to remember the Hulk was a solid title before Peter David took the reins, and occasionally it's been a solid title afterward. There aren't nearly enough female Hulk fans out there. Feel free to speak up anytime! Excellent analysis of one of my favorite comic runs! I really appreciate folks like you who take the time out to write up such well thought out essays! Hey and if you want to do ROM SPACEKNIGHT that would be awesome! Adam, thanks for reading! I do own a full set of ROM, SPACEKNIGHT, so you never know...!